Former National Publicity Secretary of Alliance for Democracy (AD), Hon. 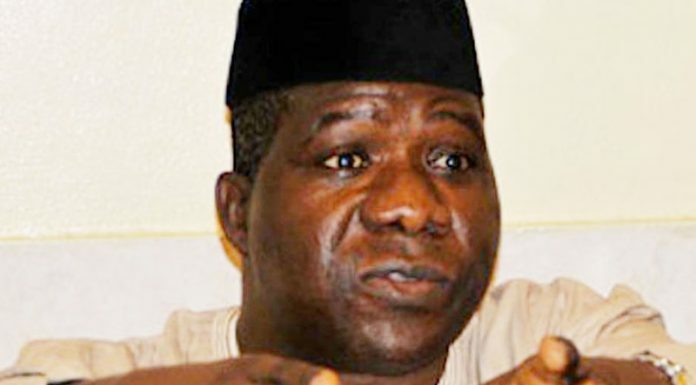 Opeyemi Bamidele saturday asked All Progressives Congress (APC) and Peoples Democratic Party (PDP) not to set Nigeria on fire their comments and speeches. Bamidele, an APC senatorial candidate in Ekiti Central, equally called political actors across the divides to pray for the success of the 2019 general election. He made the remark in Iyin Ekiti during a news conference he addressed yesterday to mark the funeral of his father, Pa Stephen Ogunyigbe Bamidele. At the conference, Bamideleurged the Independent NationalElectoral Commission (INEC) to conduct the general election in a way thatwould impress Nigerians and not the ones that would massage the egos of few politicians. He advised politicians across party lines, particularly of APC and PDP extractions to avoid thosethings that could truncate the countryâ€™s democracy in the polls. He said it would be a great disservice to over 180 millionNigerians for a few politicians to destabilise a process that wastargeted at turning around the lives of Nigerians in a bid toprotect their interests. He saluted the INEC forsetting machinery in motion to ensure that the electioneering campaigns, which began on November 18 are issue based. the total population. It willbe a great disservice to our nation for a few to plunge the entire nation into crisis just becausethey want to win election. level that will not make us a laughing stock in the comity of nations. Wemust uphold civility and imbibe the culture of issue based campaign,rather than making inflammatory comments and preach hate. â€œI am particularly pleased that the INEC Chairman, Prof MahmoodYakubuhas set up a committee to monitor campaigns of parties. The NigerianBroadcasting (NBC) and other regulatory bodies have started imposingsanctions on the appropriate places, all these will help instabilizing the system and make our democracy works better. â€œThe coming elections shouldnâ€™t be do-or-die. Nigerian voters shouldbe given the free will to elect whomever they like, INEC should not comeout to impress anybody but Nigerians. to triumph in the poll. and gain the confidence of the people, rather than rolling out thugsand other powers to subdue my opposition to win election.